HUGE Price Reduction On Great Homesite For Sale in Bellyache! For sale in Bellyache, located in Wolcott, CO, 301 Big Dipper Rd is NOW offered at $249,000 $180,000! That's a HUGE reduction in price. With big views to the west and the north, this large 1.16 acre homesite is ideal for your dream home or a rustic cabin in the woods! The owners have recently removed many beetle-killed pine trees, and there is a several year supply of wood on-site. But there are still plenty of trees to provide privacy and ambiance; after all, this is Colorado! Zoned for a single family or duplex home, 301 Big Dipper is an excellent opportunity to acquire one of the least expensive homesites currently on the market. The Bellyache DRB has consistently worked with owners and builders to allow for great homes without too many restrictions. Come see the least expensive homesite in Bellyache! Read more about HUGE Price Reduction On Great Homesite For Sale in Bellyache! For Sale in Homestead in Edwards, CO! Now for sale in the Homestead neighborhood of Edwards, Colorado: Terrace Ridge Townhomes Unit 12B. Located at 288 Edwards Village Blvd., Terrace Ridge Townhomes offer great value and an excellent location close to downtown Edwards. Offered at $449,000 $429,000 this 3 bedroom/3.5 bathroom 3 level townhome w/ a 1 car garage is an tremendous buy. The realistic sellers are ready to SELL and are updating the kitchen w/ slab granite counters and stainless steel appliances! The open floorplan allows for easy entertaining or just relaxing at home. The flagstone patio enjoys BIG views across the valley and is the perfect spot to enjoy the Colorado outdoors. Read more about For Sale in Homestead in Edwards, CO! January real estate sales for Vail Valley rang in the New Year with the best January since 2008. Good news for sellers as ninety transactions for the month averaged about 1.2 million dollars. Vail Village saw sales in January averaging the highest price per square foot beating out such areas as Beaver Creek and Bachelor Gulch. For more information on real estate in the Vail Valley, see my contact information. According to Land Tilte Guarantee Company the Real Estate Sales for 2012 have started out strong with $100 million in total dollar volume, the highest January volume since the month of January 2008. In January, there were 90 transactions creating the average sales price of $1.2 million. There were 6 residential transactions which sold for over $4.5 million each. Vail Village had the highest selling priced home of over $13 million and a Bachelor Gulch home was the second highest price of over $11 million. The high end market is showing strength but the down valley market is also strong. Gypsum had 21 transactions in January with the average selling price of $230,818. Properties selling for under $500,000 accounted for 50% of the sales in residential transactions and 10% of the total volume. Four transactions over $5 million each accounted for 42% of the dollar volume. Big Price Reduction on Great Home in Homestead in Edwards,CO! A great home in the Homestead neighborhood in Edwards Colorado has recently reduced its price. 80 Heritage Park Place is now listed at $1,195,000 for 6 bedrooms/6.5 bathrooms on 3 levels sitting on 0.24 acres. Originally listed at $1,495,000 ; that's a $300,000 reduction and a great value! This home must be seen to appreciate all it has to offer. Completed in 2006 and meticulously maintained, almost every room in this single family residence has wonderful natural light with excellent views. It's new list price puts it at $245/SF ( per appraiser) and one would be hard pressed to recreate this home for similar cost. Great finishes, an open and inviting floorplan, excellent outdoor living and plenty of space for your toys make this a fantastic Colorado home. 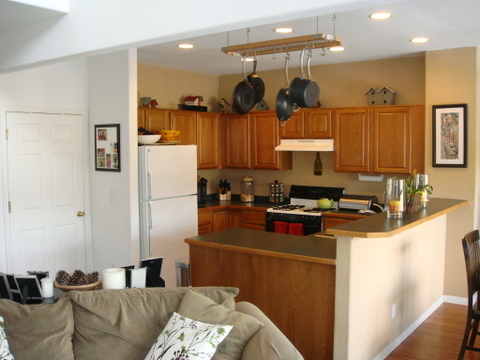 Read more about Big Price Reduction on Great Home in Homestead in Edwards,CO! Bachelor Gulch is a 1,400 acre mountain hideaway that is perched in a scenic valley located between Beaver Creek and Arrowhead. Bachelor Gulch links together three mountain communities creating a unique village-to-village skiing experience. The exclusive 5-star Ritz Carlton is located at the base of Bachelor Gulch which provides world-class lodging and fine dining. One of the most scenic properties at the heart of Avon, Colorado and Beaver Creek Ski Resort had a very sluggish fourth quarter in sales to end 2011. Out of the nine sales for the year, only one sold in the last quarter. Prices per square foot had a range of $530 to $910. When you compare that to the thirty-one currently on the market, one sale in three months is sluggish. The active units for sale range in price from $617 to $1358. If you would like more information about the amenities, association fees for the Westin Riverfront & Spa, or other real estate questions about the Vail Valley, see my contact information. Holiday Season 2011 Open Houses in Homestead in Edwards, CO! This 2011 holiday season, there will be several opportunities to view 2 excellent homes in the Homestead neighborhood of Edwards, Colorado. Located in the heart of the Vail Valley, Edwards is a wonderful community of locals and second home owners that love the mountains and enjoy its convenient amenities. Riverwalk is the commercial center of Edwards with a movie theater, market, boutiques, galleries, restaurants and more. Read more about Holiday Season 2011 Open Houses in Homestead in Edwards, CO!